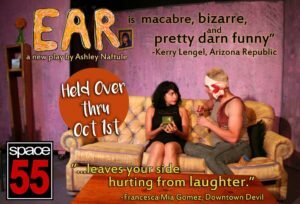 The Space 55 Writer’s Group, (which brought us previous hits “Blue Galaxy”, “Night of the Chicken” and “Remote Control”) has produced yet another remarkable new play: Ashley Naftule’s “EAR”. 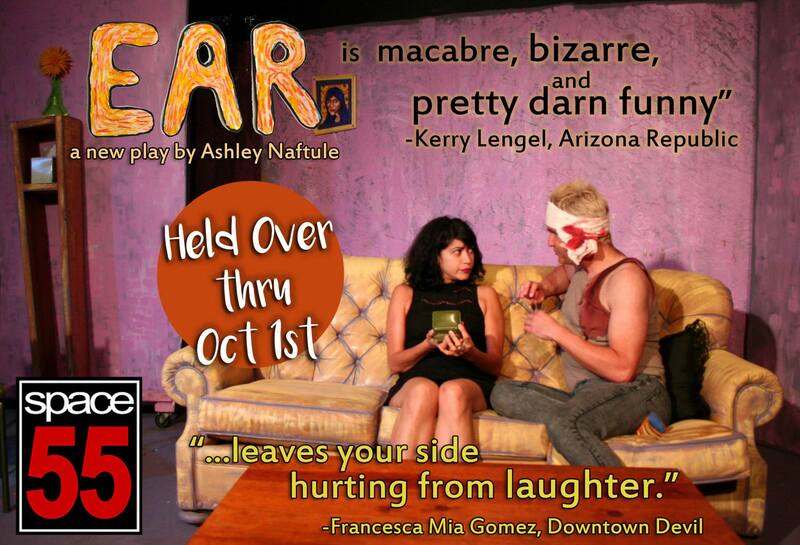 Loosely inspired by the life of Van Gogh, “Ear” is a story as old as time. A boy loves a girl. To prove he loves the girl, the boy gives her a gift. A BIG gift. The kind you can’t take back. And now the boy is in a mental hospital, at the mercy of a doctor who’s even crazier than he is. And the girl? Well, she’s starting to hear things, WEIRD things, late at night. It’s an all-American story about love, insanity, auditory phenomena, experimental therapy, cannibalism, and talking birds. NOTE: This will be the FINAL play performed at Space 55’s 636 Pierce location. The theater will be closing at the end of September and relocating at a TBD new venue. More details about our closure/re-opening elsewhere will be found on our Facebook page. If you’ve ever enjoyed seeing shows in our space, come out for one final production in the black box that Shawna Franks built.